Foxboro, 0 @ Attleboro, 8 – Final – Attleboro’s defense was strong and the offense pounded out 10 hits in a win over Foxboro. Max Amaral (4IP, 2H), Anthony Deyesso (2IP, 2H), and Jacob Gorman (1IP, 0H) combined for the shutout for Attleboro. And with a total of just two strikeouts, Foxboro put pressure on the Bombardiers defense, which did not commit an error, highlighted by nice catches from Alvaro Espinal and Sam Larkin in the outfield. The Bombardiers scored three runs in each the second and fourth innings to build separation. Tim Callahan, Espinal (two RBI), Ryan Morry (RBI), and Troy Van Vliet (RBI) each had two hits for Attleboro. Canton, 1 @ Mansfield, 5 – Final – Mansfield scored a pair of runs in each the first and second innings while starting pitcher Kyle Moran was strong on the mound in the Hornets’ win over Canton. Moran allowed one earned run on four hits and two walks, striking out nine in six innings of work. Offensively, John Carney went 3-for-4 with an RBI and a run scored while Dan Saraceno (run), Mike Hargadon (RBI), and Nick Dumouchel (run) each had a pair of hits for Mansfield. Chris Rota had two hits for the Bulldogs. North Attleboro, 1 @ Franklin, 3 – Final – Franklin scored once in each the first, third, and sixth innings and junior Liam Dailey tossed a complete game with just one unearned run allowed as the Panthers beat North Attleboro to claim “The Cup” – the first year the trophy has been awarded since 1909. Alex Haba was the catalyst for two of those runs, drawing a two-out walk in the first, stealing second, and taking the next two bases on wild pitches. In the sixth, Haba tripled to right center and scored on a base hit from Jake Macchi. In the third, Joe Lizotte singled, took second on a pickoff attempt and scored on an RBI single from junior Jack Nally. Dailey scattered six hits, one walk, and four strikeouts. Jared Penta and Jake Carroll each had two hits for North. Sophomore Dennis Colleran allowed three hits, issues three walks, allowed two runs and struck out four in five innings of work. Stoughton, 5 @ King Philip, 1 – Final – Stoughton junior Jacob Kaplan and senior Zak Paquette came through with clutch hits in the top fo the sixth inning to lead the Black Knights to a win on the road. With the game tied 1-1 and the bases loaded, Kaplan had RBI single to put the Knights ahead 2-1. Paquette then delivered a two-out, two-run single to extend Stoughton’s advantage to 4-1. Stoughton added an insurance run in the seventh when junior George Currier had a two-out single to knock in Robbie Seaman (three hits, two runs), who singled and stole both second and third. Paquette earned the win on the mound, limiting KP to one unearned run on four hits, two walks, and two strikeouts. Catcher Michael Nazzaro had another strong game behind the plate defensively, throwing out a pair of runners. Sharon, 1 @ Oliver Ames, 2 – Final – Oliver Ames senior Chris Pearsons launched a two-run home run to center field at Frothingham Park to lift the Tigers to a win over the visiting Eagles. Pearsons (save), Tyler Avery, and Jack Richardson were solid in relief for Oliver Ames. Senior Sean O’Brien made a terrific catch on a ball in the gap in the seventh inning, turning it into a double play to help OA secure the win. Jake Erlich added a double for OA and threw a runner out attempting to steal early in the game. Sharon starter Noah Martinez allowed just five hits in six innings of work, striking out seven. Justin Brown had an RBI single to score Max LeBlanc (double) to put Sharon up 1-0 in the fourth. Milford, 7 @ Taunton, 13 – Final – Taunton’s offense had its best performance of the season, scoring a season-high 13 runs in a win over Milford. Sophomore Danny MacDougall paced the Tigers with two hits, three RBI and three runs scored. Joseph Crawford added three hits and Lucas Martins had three hits, three RBI and two runs scored. Attleboro, 10 @ Foxboro, 4 – Final – Brenna Morse launched a three-run home run, McKenzie Bergdoll had a two-run home run, and Makenzie Killough had a solo shot to lead Attleboro to a win on the road at Foxboro. Jenna Gittle earned the win in the circle for Attleboro. Canton, 2 @ Mansfield, 6 – Final – Canton twice took a one-run lead but Mansfield answered each time, the second time pulling ahead for the win. The Bulldogs went up 1-0 in the fourth but Mansfield answered with a run in the fifth. After Canton went up 2-0 in the sixth, the Hornets rallied for five runs in the bottom half. Casey Moussette led off the bottom of the sixth with a single, Sarah Cahill reached on a fielders choice, Kara Benanillo singled to score a run, and Megan Letendre singled to load the bases. Mady Benanillo singled to score a run, Caty DeMassi knocked in a pair of runs with a single, and Ella Verheggen singled to bring a run home to make it 6-2. Sarah Cahill was strong in the circle for the Hornets, giving up five hits and striking out 13. Franklin, 5 @ North Attleboro, 1 – Final – Franklin notched seven of its eight total hits in the sixth inning, resulting in five runs and a win on the road at North Attleboro. Ally Shea led off with a single, Anna Balkus had a bunt single and both moved up a base on an infield error. Gabby Golace drove in a run with a ground out, Maddy White followed with an RBI single, and back-to-back base hits from Jackie Cherry and Sarah Jackson loaded the bases. Tara Hartnett had a two-run single to make it 4-1 and Kylie Bouzan added an RBI single to plate Jackson to make it 5-1. North Attleboro took the lead in the bottom of the fourth on an RBI double from Katie Daby. Cherry earned the win in the circle, allowing just three hits, one walk and one hit batter with three strikeouts. 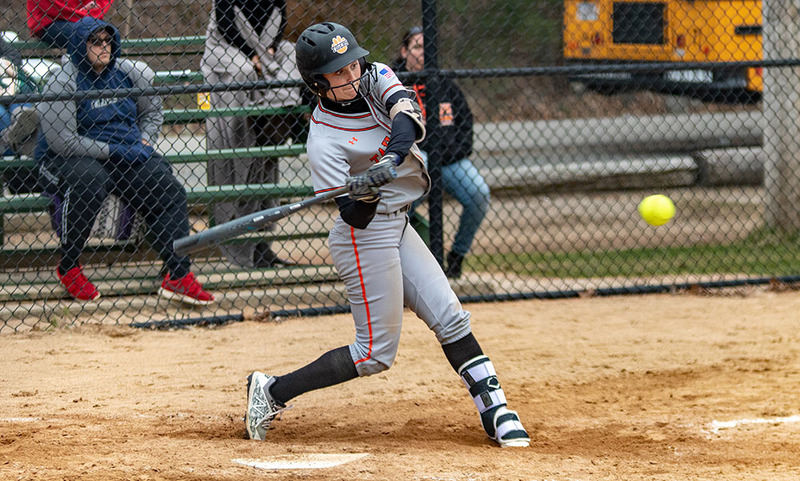 Oliver Ames, 7 @ Sharon, 2 – Final – Oliver Ames didn’t commit an error, playing excellent defense while senior Colleen Larson earned the win in the circle, allowing two runs on nine hits and one strikeout. The Tigers plated four runs in the top of the seventh inning with two-outs to pull away from the Eagles. Kayla Georgeu (double) and Abbi Holmes each knocked in a pair of runs in the seventh to create the separation. Sophomore Grace Simone had two hits and three runs and senior Katie Mills had two hits, an RBI, and a run scored. King Philip, 2 @ Stoughton, 1 – Final (10 inn.) – King Philip didn’t get its first hit until the seventh inning but that turned into the tying run, and then used a home run in the top of the 10th to escape Stoughton with a win. Stoughton sophomore Nicole Baker kept the Warriors off balance until Meg Gorman led off the seventh with a single, coming home to score the tying run on Faith Turinese’s sacrifice fly. Liliana Rolfe led off the 10th with a home run for the winning run. Turinese allowed a first inning run to Stoughton when Karly Estremera led off with a single and scored on a sac fly from Lexi Baptista, but then prevented the Knights from scoring again over the next nine innings, despite nine total hits from Stoughton. Baker allowed a total of just four hits while striking out 12 and got strong defensive performances from Estremera at third and Baptista in center. Taunton, 19 @ Milford, 0 – Final (6 inn.) – Taunton senior Alexa White scattered four hits and struck out 14, tossing a complete game shutout to lift Taunton to a win. Abbie McDonough (two RBI), McKenzie McAloon (RBI), Ava Venturelli (RBI), Skylar Rheaume (triple, two RBI), and Rylie Murphy each had two hits for the Tigers. Canton, 12 @ Plymouth South, 5 – Final – Canton built a five-goal lead by halftime and held a 9-2 lead by the end of the third quarter on its way to a win over Plymouth South. Nick Mackay was strong defensively and sparked the Bulldogs at the faceoff X. Dylan Coyne had a terrific game in net with 26 saves, turning away a strong Plymouth South attack. Tommy Vaughan (four goals, two assists) and Griffin Coach (three goals, three assists) each had six points for the Bulldogs while Dan Cohen scored twice. Stoughton, 2 @ Foxboro, 14 – Final – Foxboro extended its win streak to seven with a win over the visiting Black Knights. Freshman Tom Sharkey netted a pair of goals, Jack Avery and Matt Collins each scored once and had one assist, and Dylan Kerrigan scored once for the Warriors. Milford, 5 @ Attleboro, 8 – Final – Trailing 3-2 at halftime, Attleboro rattled off five straight goals over the first 15 minutes of the second half to pull away with the win. Kyra Lyons paced the offense with four goals and Sydney DiLiddo scored once for the Bombardiers. Holly Kailher netted her first goal of the year while Campbell Compton and Hannah Webster each scored their first career goal for Attleboro. Attleboro, 1 @ Foxboro, 4 – Final – Foxboro continued its unbeaten start to the season, earning a pair of wins in both singles and doubles action to beat Attleboro. Freshman Garrett Spillane won 6-3, 6-1 at first singles and junior Sean McAvoy didn’t drop a game in a 6-0, 6-0 win at third singles. The team of junior Noah Hicks and senior Brian Gardner notched a 6-2, 6-1 win at first doubles and the team of sophomore Justin Neale and freshman Max Kornbluth secured a 6-0, 6-3 win at second doubles. Attleboro’s Jared Cooper prevailed 6-2, 2-6, 6-3 at second singles. Mansfield, 5 @ Canton, 0 – Final – Mansfield went on the road and earned a sweep of the Bulldogs. Luke Nickerson (first singles, 6-2, 6-0), Luke Devine (second singles, 6-2, 4-6, 10-5) and Nilay Pangrekar (third singles, 6-1, 6-2) swept singles action for the Hornets. The team of Sethu Odayappan and Max Bank picked up a 6-2, 6-0 win at first doubles while Sam Donellan paired with Dheeraj Valluru for a 6-0, 6-2 win at second doubles. Franklin, 4 @ North Attleboro, 1 – Final – For the second straight match, Franklin’s Liam Marr pulled out a big win, this time over North Attleboro’s Jonah Manso, in a battle of top sophomores in the league. Marr won 6-2, 6-2 while Rohan Herur notched a 6-3, 6-2 win at second singles. Franklin’s first doubles team of Saketh Saripalli and Vayshnav Malhotra recorded a 6-3, 6-1 win while Saket Gandham and Shoumik Sompally prevailed 6-3, 2-6, 10-6 at second doubles for the Panthers. North Attleboro sophomore Sam Gallagher won 6-0, 6-0 at third singles. Oliver Ames, 0 @ Sharon, 5 – Final – Sharon won all four matches in straight sets, earning a fifth point by default. Freshman Rueman Bhattacharyya won 6-1, 6-1 at first singles, freshman Alex Chen recorded a 6-1, 6-0 win at second singles, and senior Max Brody picked up a 6-1, 6-3 win at third singles. Senior Alex Aspel and junior Jake Ross teamed up for a 6-0, 6-0 win at first doubles. King Philip, 5 @ Stoughton, 0 – Final – The Warriors took all five matches in straight sets to record a win over Stoughton. Nick Putney picked up a 6-2, 6-4 win at first singles, Marco DiStefano didn’t drop a game in a 6-0, 6-0 win at second singles, and Jack Cannon lost just one game in a 6-0, 6-1 win at third singles. KP’s first doubles team of Nate Ihley and Zak Ryan won 6-0, 6-0 at first doubles while Jake Mager and Tyler Dowd teamed up for a 6-3, 6-0 win at second singles. Foxboro, 4 @ Attleboro, 1 – Final – Foxboro dropped just one game in singles action and added a win in three sets at second doubles to beat Attleboro. Sophomore Pam Nelson won 6-0, 6-0 at first singles, sophomore Sarah Prag recorded a 6-0, 6-1 win at second singles, and senior Julia Muise picked up a 6-0, 6-0 win at third singles. The team of Maggie McAuliffe and Kethry Milne prevailed 6-1, 4-6, 6-1 at second doubles. Attleboro’s Lauren Anthony and Nicole Matheson battled to a 6-3, 2-6, 6-3 win at first doubles. Canton, 3 @ Mansfield, 2 – Final – Canton earned a clean sweep in singles action to pick up a win on the road at Mansfield. Rachel Kupferman (first singles) and Natalie Keppler (second singles) each won 6-0, 6-0 while Sarah Hernandez battled to a 6-3, 6-1 win at third singles. Mansfield’s Hannah Podolske and Sam Sternburg recorded a 7-5 (7-6), 1-6, 10-6 win at first doubles while Alex Burnham and Lauren Hobaica picked up a 6-4, 3-6, 6-2 win at second doubles. North Attleboro, 5 @ Franklin, 0 – Final – North Attleboro went on the road and won all five matches in straight sets to get the sweep. Tara Nair won 6-2, 6-0 at first singles, Mae McLaughlin recorded a 6-2, 6-4 win at second singles, and Olivia Wills picked up a 6-3, 6-2 win at third singles. North Attleboro’s first doubles team of Sam Martino and Haley Strom won 6-2, 6-2 at first doubles while Brototi Nandi and Jayli Carmichael won 6-3, 6-4 at second doubles. Sharon, 4 @ Oliver Ames, 1 – Final – The Eagles won all three singles matches in straight sets and earned another victory in doubles play to beat Oliver Ames. Nupur Shukla won 6-0, 6-0 at first singles, Charlize Martinez secured a 6-1, 6-1 win at second singles, and Sophia Fein won 6-1, 6-2 at third singles. The team of Lauren Glass and Jessica Tarnoff won 6-0, 6-2 at first doubles for the Eagles. Oliver Ames’ Erika Mekler and Kate McCormick picked up a 6-7 (6-8), 6-2, 10-8 win at second doubles. Milford, 0 @ Taunton, 5 – Final – The Tigers defended home court, winning all five matches in straight sets to sweep the visiting Scarlet Hawks. Jillian Pagliuca won 6-1, 6-0 at first singles, McKenzie Lucie picked up a 6-1, 6-1 win at second singles, and Jocelyn Pagliuca won 6-2, 6-1 at third singles. The team of Sam Martin and Brianna Fevrier earned a 6-4, 6-1 decision at first doubles and Ogechi Ariguzo teamed up with Kayla Parrett to win 6-2, 6-1 at second doubles. Canton, 5 vs. Wellesley, 3 – Final – Wellesley tied the game at 3-3 with a run in the top of the fifth inning but the Bulldogs took it right back with two in the bottom half to earn the win. Sophomore Matt Connolly went 2-for-3 with an RBI while Nate Quan (two runs), Rob Sullivan (RBI), and Chris Rota each had a hit for Canton. Mike Konzal, Steve Burbank, and Matt Pigeon each had a walk and a run scored. Sullivan got the win for Canton, allowing two earned runs on five hits in six innings of work. Rota didn’t allow a hit in one inning of work to get the save. Milford, 7 @ Concord-Carlisle, 2 – Final – Milford senior Danny Corsini allowed just one hit in four winnings of work, allowing just one unearned run while striking out three to help the Scarlet Hawks get a win over Concord-Carlisle. Matt Shave had one hit and scored three runs while both Colby Pires (double, two runs, two RBI) and Tyler Almeida (two RBI) had two hits apiece. Luke Rosa struck out one with one hit allowed in two innings of relief. Stoughton, 3 vs. West Bridgewater, 0 – Final – Stoughton sophomore Brady Conlin shined on the mound, throwing a complete game shutout to lead the Black Knights to a win. Conlin scattered four hits and three walks while striking out 11. 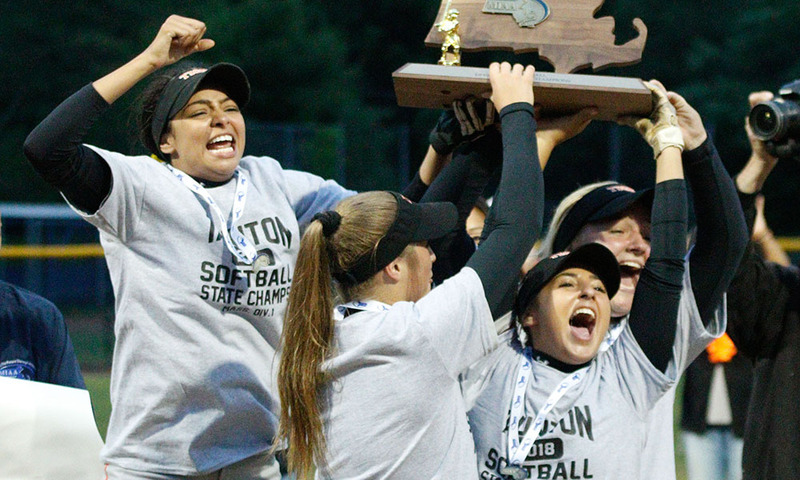 Stoughton scored all three of its runs in the fourth inning. Robbie Seaman (reached on error) scored on an RBI single from James Genest, Jacob Kaplan used heads up base running to score on an infield hit from Mike Nazzaro, and Kyle Gagnon had a single that bought Nazzaro home. Canton, 4 @ Boston Latin, 11 – Final – Canton sophomore Nikki Desjardins went 2-for-4, including hitting a home run, but the Bulldogs fell on the road. Freshman Sophia Santos pitched three scoreless innings with five strikeouts. 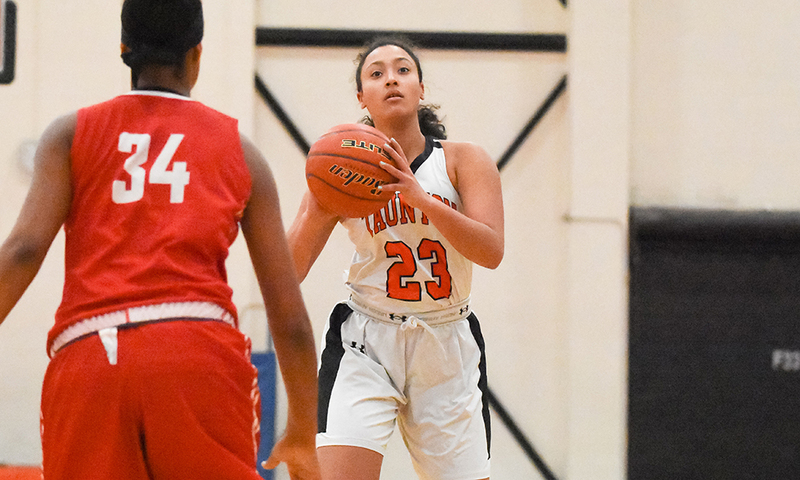 Sharon, 3 vs. Duxbury, 4 – Final – Despite the loss, Sharon coach Heather Poliferno called it a “great game” against the Dragons. The Eagles rallied with two runs in the sixth inning to close the gap and added one in the seventh but couldn’t find the tying run. Emily Botvin was strong in the circle, throwing a complete game with four strikeouts and just one walk. She threw first pitch strikes to 29 of the batters she faced. Poliferno said that the Eagles made solid contact all game. Canton, 7 vs. Natick, 10 – Final – Canton stayed close with Natick for the entire game but couldn’t close the gap. Tommy Vaughan scored four goals and Griffin Roach netted three for the Bulldogs, who trailed 6-3 at the break. Mansfield, 4 @ Norton, 1 – Final – Mansfield swept doubles action and added two more wins in singles action to knock off Norton. Lizzy Elsner won 6-3, 1-6, 6-2 at first singles while junior Samantha Sternburg didn’t drop a game in a 6-0, 6-0 win at third singles. The team of senior Hannah Podolske and sophomore Alex Burnham earned a 6-4, 6-2 win at first doubles while sophomores Ally McDeuitt and Alex Wendland secured a 7-5, 6-2 win at second doubles. Taunton, 14 vs. Dighton-Rehoboth, 2 – Final (6 inn.) – Taunton eighth grader Ava Venturelli sparked a four-run first inning and the Tigers never looked back, picking up their second win in as many days. Venturelli had a bases-clearing triple to give the Tigers an early lead. Sophomore Tayah DaCosta drilled a two-run home run in the bottom of the sixth for Taunton. Kelsey White (3-for-3 with two RBI and two runs at the plate) earned the win in the circle. She struck out seven without issuing a walk, scattered three hits and allowed two runs (one earned) in five innings of work. Alexa White struck out two in a scoreless inning of work. Oliver Ames, 17 @ East Bridgewater, 4 – Final – Oliver Ames junior Shane Kilkelly scored five goals and set up four more, pacing the Tigers to a big non-league win on the road. Sandro Mascierelli added three goals and an assist and Sam Stevens scored once and had four assists. OA coach Ben Devlin said Shane Murphy and Matt Saba both had strong games defensively for the Tigers. Sharon, 7 @ Bishop Feehan, 6 – Final – Jenna Goldstein scored a hat trick and Emma Eberhardt had a pair of goals and an assist, as Sharon pulled out a close win on the road against a potential playoff opponent. Sharon controlled the draw controls, winning 11-of-15, and head coach Shara Ginthwain said the midfield “did a great job on transitions.” Maeve Barbera had a goal and an assist and Maxine Gordon also scored for the Eagles, while Rose Wald made six saves to preserve the win. Below are the official 2019 Hockomock League Girls Basketball All Stars, selected by the coaches in the league.